NYC hates closets. I know that this is a well known issue but it doesn’t make it any easier. The fact that I have to somehow transport and store an entire season’s worth of clothes in my parents attic in Staten Island is enough to drive a girl a little crazy. Then I recently overheard a solution- one in one out. The idea is simple and effective, every time you bring home a new article or clothing you get rid of an old one . But can I really do it? I needed to start with clearing out my closet. I realized very quickly that I am bordering on hoarder status. I had things that I haven’t worn in years. Things with the tags still on from who knows when. Things that were bedazzled. 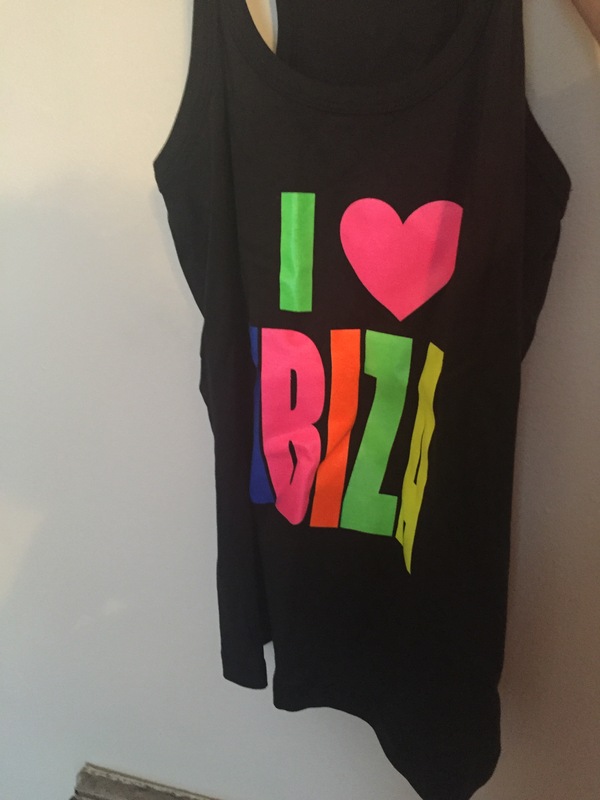 Listen I love my polyester neon I heart Ibiza tank that I’ve haven’t worn since I bought it in 2013 but its taking up very valuable drawer space. My main offender- Forever 21 clothes. The two biggest problems with F21 is that they are so incredibly cheap that I buy things that I do not need and only about 20 percent fit well. I could return it but usually I’m lazy and it just sits in my drawer waiting for the time when I will somehow find a way to wear it (which NEVER comes). Okay so for 2016 F21 is done. This takes care of half of my problem. The other half is what to do with clothes that I’ve decided to get rid of. I am broke and some of these pieces in here are really nice but I haven’t paid it forward in a while, so I’m going donate them. I happen to have a Housing works that accepts donations on 49th and 9th, a half a block away from me! Here is a complete list of donation centers in NYC. Now that my shopping is in check and my closet is nice and neat I can implement one in one out. This could be the start of a much more functional relation with my closet and my wallet. However it is only February.